Are you a “middle aged” woman? 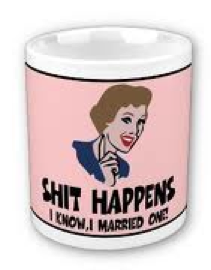 Are you recently divorced? If so, you might be interested in the observations of one Christopher Coleman, an associate professor at the University of Pennsylvania School of Nursing, who has found that divorced middle aged women are more likely to contract HIV and other sexually transmitted diseases. One reason is that they tend to “let their guard down” with new sexual partners and avoid using contraception since they are unafraid of getting pregnant. Also, as you get older, physiological changes due to menopause (such as the thinning of vaginal walls) make it more that a woman will contract a virus. Then there is the fact that medications that would be used to treat an STD or HIV become hard for a woman to tolerate because an aging body metabolizes medications differently. Thanks for a refreshing depiction comment about the reality about sexuality in middle age. You are sooo right!!! Know doubt, Protect yourself from AIDS! are professor coleman’s observations rely a surprise? we live in a world in which far too many people base the value of a woman on the size of her breasts or how round her behind is, and discount true values such as intellect, honesty and kindness. the physical effects of the change of life can be difficult enough for so many women, but the emotional effects leave so many women vulnerable. society’s warped value system perpetuates that vulnerability. I love your blog. Just subscribed =) I have a three and one year old. The first year was inidercble. The challenges have just begun for me since my daughter is fully mobile. They fight all day, one is always going in the opposite direction of the other, ect. BUT! I wouldn’t change it for anything. Having a schedule REALLY helps. Cheap wine and blogging are pretty awesome too =)Your profile bio made me smile today! Looking forward to following you!